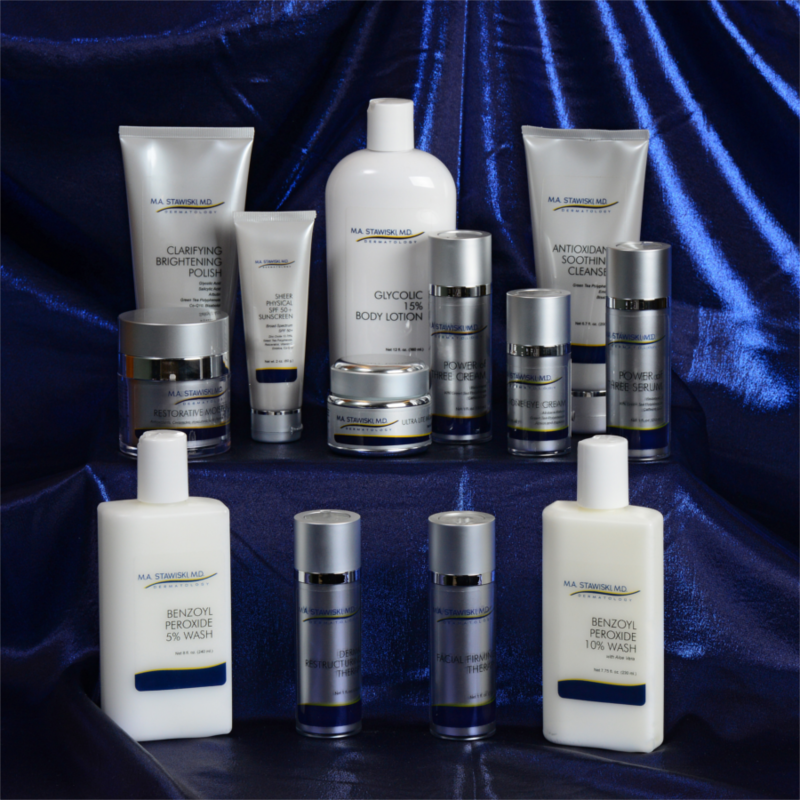 With years of experience and knowledge of skin conditions and issues that people face, Dr. Stawiski has decided to offer a line of skin care products with his clients in mind. This wash thoroughly cleanses acne-prone skin with a special soap-free cleanser and is fortified with Benzoyl Peroxide for anti-bacterial protection. A Scrub that refines the skin gently and effectively to accelerate it’s natural renewal process. This luxurious purifying soothing cleanser gently cleans and replenishes the skin. These products can be purchased at both of our office locations.